Jan Hnizdo, director at Teraco. China Telecom (Africa and Middle East) Limited (CTMEA), the Middle East and Africa subsidiary of China Telecom Global (CTG), one of the world's largest providers of integrated telecommunication services, has today announced that it is establishing an inter-connection network and telecommunications hub to support growing traffic demands at Teraco Data Environments, Africa's first vendor-neutral data centre. CTMEA has established its network nodes in Teraco's data centres in Cape Town, Durban and Johannesburg since 2012, to provide the inter-connecting hub linking the global Internet resources into the African continent. Teraco's advanced data centre services will be bundled with CTG's information communication technology (ICT) solutions, which will cater to the increasing demands from the world going into Africa, especially expansion from Asia-Pacific IT companies into Africa. Teraco has Tier III+ data centres in Cape Town, Durban and Johannesburg, with facilities for multinational companies to co-locate their servers. The new cooperation allows multinational companies to subscribe to Teraco's co-location services bundled with CTG's ICT and connectivity solutions. "Our customers in China and the Asia-Pacific region will now find it even more convenient to subscribe to a reliable, trusted and high-quality co-location and connectivity service from Teraco and China Telecom Global," said Changhai Liu, managing director of CTMEA. "Our cooperation immediately builds higher confidence among our customers, so they can focus on their business operations and leave their hosting, colocation and inter-connection requirements to us. We have long been focusing on the Africa market and this closer cooperation with Teraco further enhances our competitiveness in the Middle East and Africa, with a strong and like-minded partner in southern Africa we can rely on." Teraco offers its clients vendor-neutral, resilient data centre facilities and the lowest latency interconnection points to the cloud and content. Its data centres offer a secure, guaranteed 99.999% uptime environment. Teraco has also been focused on growing its ecosystems of telco, content, financial services, enterprise and Internet service providers over the past decade. Its offering is underpinned by providing clients with direct access to Africa's largest Internet exchange, NAPAfrica, which includes all the benefits of interconnection via the Teraco platform. Jan Hnizdo, director at Teraco, said: "Teraco has been investing to expand our data centre facilities with additional capacity and floor space to meet increasing demands from enterprises and from the surge in cloud computing uptake. Our relationship with China Telecom Global opens up African opportunities for Chinese content and applications, which means a growing network and higher communications traffic in the African region to the East. A digital transformation is happening across the sub-Saharan Africa region; with this development, clients are able to leverage the most advanced, cost-effective data centre and ICT solutions from both companies." China Telecom Global Limited (CTG) is a wholly-owned subsidiary of China Telecom Corporation Limited (China Telecom), ranked 141st in Fortune Global 500 of 2018. Established in 2012, headquartered in Hong Kong, CTG connects the Asia-Pacific region and the world by leveraging on its abundant resources in mainland China. China Telecom has branches or subsidiaries in 39 countries and regions, over 176 overseas PoPs, and more than 42TB capacities in international connectivity bandwidth and intercontinental capacity. By tapping into its network resources of 39 submarine cables (China Telecom was involved in the construction of more than 10 of those cables) and leveraging direct connection to more than 10 neighbouring countries and regions via terrestrial cables, CTG has forged its global layout of service network and network capacity. Targeting international carriers and multinational corporation clients, CTG provides customised and cost-effective integrated communications solutions and diversified telecoms services to cater to their global business needs. Its services include Internet direct access, Internet transit, data services, broadband, unified communications, Internet data centre, cloud computing, ICT services, fixed and mobile voice and value-added services, professional services and industry solutions, telecoms operation consultancy and service outsourcing. Teraco is the first provider of resilient, vendor-neutral data environments in South Africa. Clients benefit from the cost savings and improved resilience of securely housing their information systems and networking equipment in a colocation facility purpose-built and operated to global best practice by an expert organisation with an absolute focus on data centre technology and infrastructure. Founded in 2008, Teraco Data Environments has brought international best practice in vendor-neutral data centre management to South Africa to give businesses a technically superior, physically safer and lower-cost environment for their information systems. As the local telecommunications market began to deregulate, Teraco's founders recognised an opportunity for a truly vendor-neutral data centre offering in South Africa. 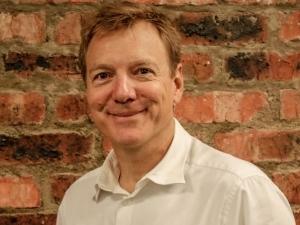 The possibility of providing a service that was not tied to any carrier or ISP became not only technically feasible and economically viable, but increasingly desirable to South African enterprises that needed unrestricted choice in how they interconnected their facilities and connected to the Internet. Teraco manages colocation data centres in Cape Town, Durban and. Johannesburg. Teraco is backed by leading international investors Permira. Teraco is a Level for 4 contributor (DTI Codes).